Everyone loves a good story. Neuroscience suggests we are hardwired to enjoy them. As social animals, we're constantly forced to assess whether or not the people we meet are friendly and worthy of trust. A good, character-driven, story resonates with us because it triggers those parts of the brain responsible for figuring this stuff out. Stories help us learn to empathize with people and understand them. The better we are at storytelling, the better we become at engaging friends and followers in an authentic way, and the easier it becomes for us to flourish as social agents and leaders. Most social media creators (The Merrier's term for ‘influencers’) are seasoned storytellers. Yet, there’s an art to telling a great Merrier story; it takes practice to do it well. The ideal Merrier story draws on the contents of your storefront and enables you to speak about them with passion and purpose. Get it right and your followers will line up to support your mission. Get it wrong and you may as well not bother having a mission at all. This post shares examples of creators and brands who tell the kinds of stories we love. Not all them are using The Merrier (yet!). But they give you an idea of what an awesome Merrier story looks like, helping you to go out there and tell winning stories of your own. Let’s start with a story from Anita Ghise (@anita_ghise), one of our favourite Byron Bay creators. 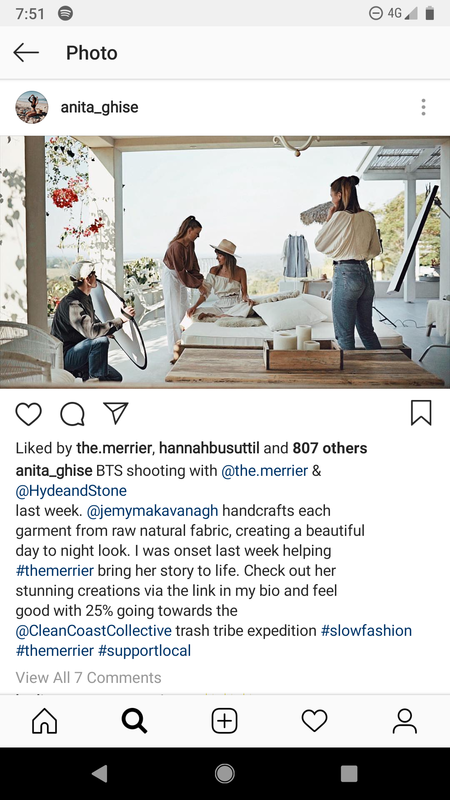 Anita worked with us on a photoshoot for local slow fashion brand Hyde and Stone, and posted about it on Instagram. This is a nice, clear example of a Merrier story. Anita's post features a great image, which is always important. 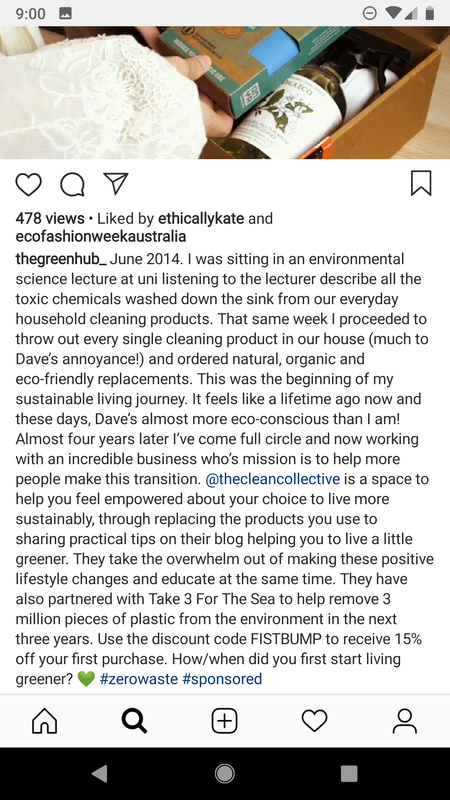 What we really love about the post is the way Anita links the brand - Hyde and Stone - to cause she is supporting - Byron's Clean Coast Collective, who run cleanup expeditions in Far North Queensland. A Merrier story features both an ethical brand and a cause. These correspond to the products you’ve chosen to promote and the cause you’ve chosen to champion on your storefront. If you tell your followers about a brand, in one post, and the cause you're supporting, in another post, you're not telling a coherent story. To tell a coherent story, you need to bring the brand and cause together in a single post, framed in light of a single, compelling mission. This mission is your mission. 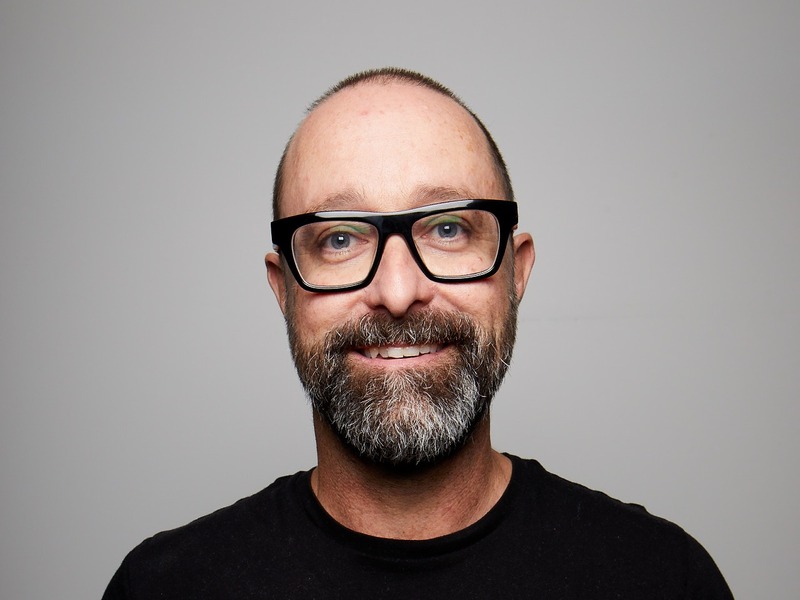 Your task as a storyteller is to establish how the brand and cause you support align with your values, dreams and ambitions - in sum, what you most want to achieve in the world. Your followers are left in no doubt as to why you’ve chosen to promote this brand and cause. If you're telling a great story, they'll want to support this brand and cause top, because they’re inspired by the power of your vision. When you tell your story, tell it in simple, heartfelt language. Don't over-complicate things or try to impress people with fancy words. Speak plainly from the heart. Tell people what you love and why you love it. Make a clear statement about the things that you value. Clear statements resonate. Ethical Brandz (@ethicalbrandz) has this kind of language down pat. Check out these examples. Both these posts promote a brand and a cause, so they’re Merrier-worthy. But take a look at the language Ethical Brandz uses to speak about the brand and cause. It is simple, heartfelt, and compelling. 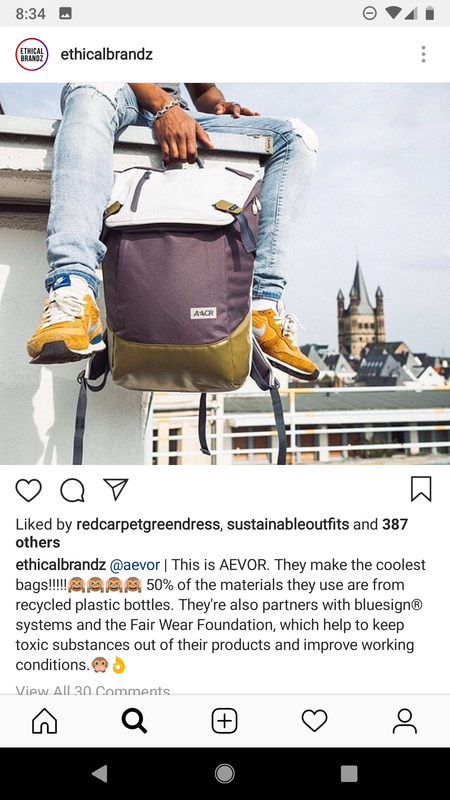 Ethical Brandz clearly love these products, and they come straight out and say it. 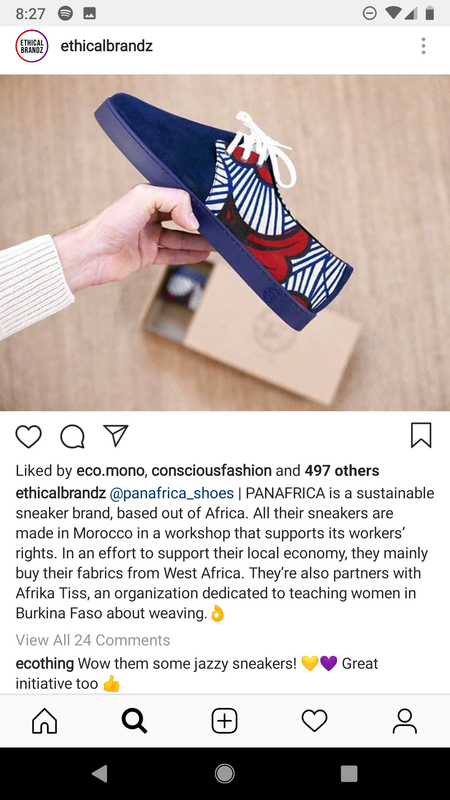 They love the causes these brands support too, so they put these causes front and centre, using them to underline the brands’ ethical credentials, and establishing why we should care about them. No one could accuse Ethical Brandz of shallow internet marketing. They could promote products all day long and not lose a shred of integrity. Their language inspires trust. We want to follow them because we can see that they’re a straight-talking, values-led company. One thing missing from Ethical Brandz’s stories is a person who we can identify with. The best Merrier stories place the creator front and centre. A great story is about you, your genuine passion, and your desire to change the world. Kiwi creator Kate Hall (@ethicallykate) does this wonderfully well. 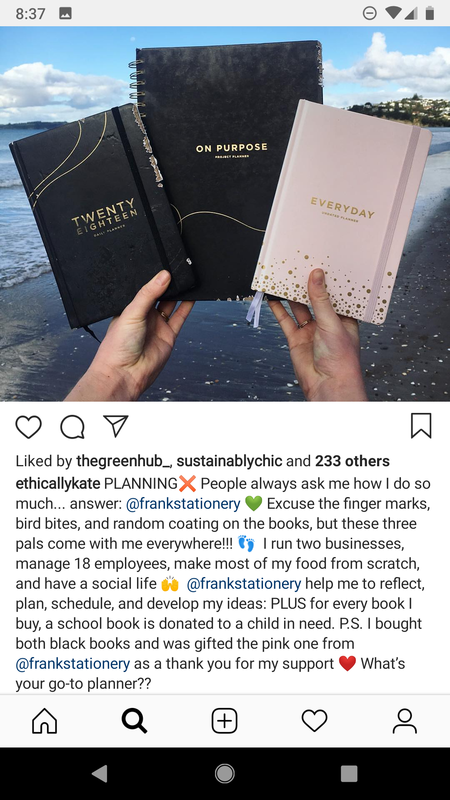 When Kate promotes products, she literally puts them in your face, as you can see from these posts. However, the way Kate frames her pitch is all about her - her life, purpose and mission. We love the chirpy tone of Kate’s posts. The language is friendly and relaxed, as if we were sitting with Kate having a cuppa and a chat. 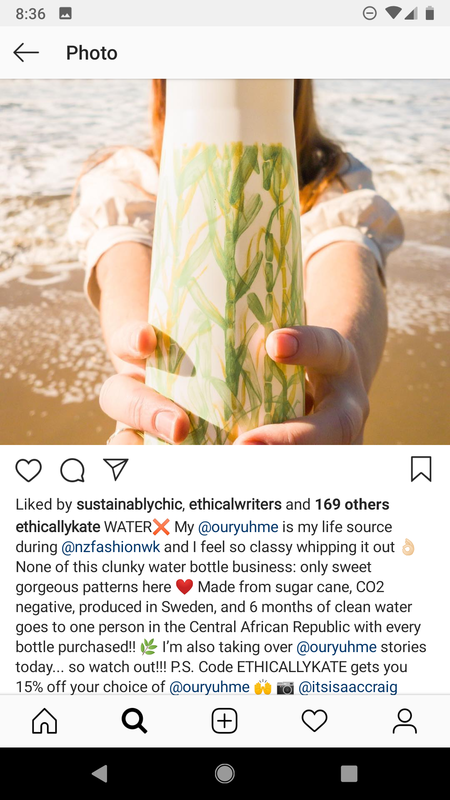 What makes these stories powerful is the way that Kate weaves details of her life into them, tossing in asides about her businesses, her busy schedule, and even events she's attended (with her @ouryuhme water bottle in hand). Personalised stories feel genuine and authentic. They are stories about a real human being, which makes them easy to relate to and love. 4. What's your hero's journey? Kira Simpson (@thegreenhub_) tells awesome stories. Check out this Instagram post, promoting the Health and Wellness website, The Clean Collective. This story places Kira front and centre. It promotes a brand and cause in simple, heartfelt language. Fundamentally, it is an inspiring story of one woman’s transformation. It is a story about Kira’s hero’s journey. Kira is a sophisticated storyteller. She understands that a key part of her role as an ethical influencer is to take her followers on a voyage of change. To inspire people to follow her path, Kira often reflects, in her blog, on what led her to embark on a sustainable lifestyle. The featured post recounts the events that started Kira on this journey. It reviews the initial steps in her hero’s journey from the doldrums of everyday life towards a mission-driven existence defined by purpose and adventure. This story frames Kira as a leader on a mission, in pursuit a noble cause. It inspires us to follow in Kira’s footsteps. What is your hero’s journey? What series of events transformed you from an ordinary person into the kind of hero that people want to follow? By building this background into your stories, you make it easier for people to empathise with your struggle and mission. You enable people to catch a glimpse of the heroic leader they want to follow, emulate, and become. Great Merrier stories include a call to action. Generally, a call to action is an inspiring statement that encourages people to support a cause. 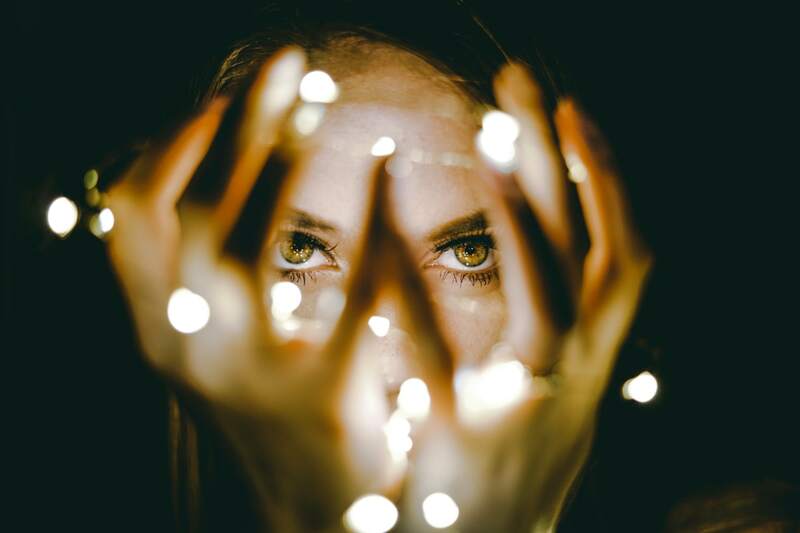 This post from US creator Michelle Chavez (@michelleforgood) shows how you can inspire people to action gently, without a great deal of flag waving and bugle blowing, which can turn people off. Michelle’s story connects a brand (@sevenly) and cause (@worldrelief) that she supports. Instead of overtly telling people to get behind this brand and cause, Michelle inspires people to engage them by emphasising how they align with her deep sense of passion and purpose. Fighting human trafficking, Michelle explains, is ‘the cause closest to my heart’. When Sevenly approached her to ask if she’d write a blog post about this cause, she ‘jumped at the chance’, because fighting human trafficking means that much to her. 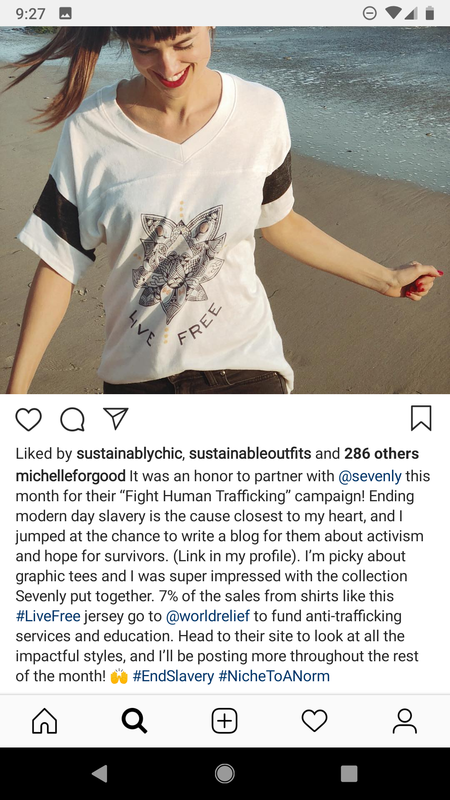 Michelle notes that 7% of the sales from Sevenly products go to support World Relief’s battle against human trafficking. In this way, she indicates how we can contribute to the cause without instructing us to do so. Michelle’s call to action comes from the heart. It's not thrust in our face (‘Donate now!’), but we hear it nonetheless. This approach is often more successful than saying: 'Help me make a change’. However you call your followers to action, the best stories place you and your mission front and centre. They transform you into a hero and leader. Don’t be afraid to lead a mission you care about. This world needs more heroes. It needs more inspiring stories and opportunities for change.